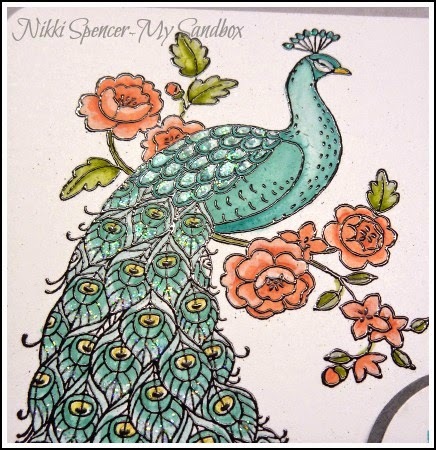 Morning all!....I've been having a play with Perfect Peacock, love it! 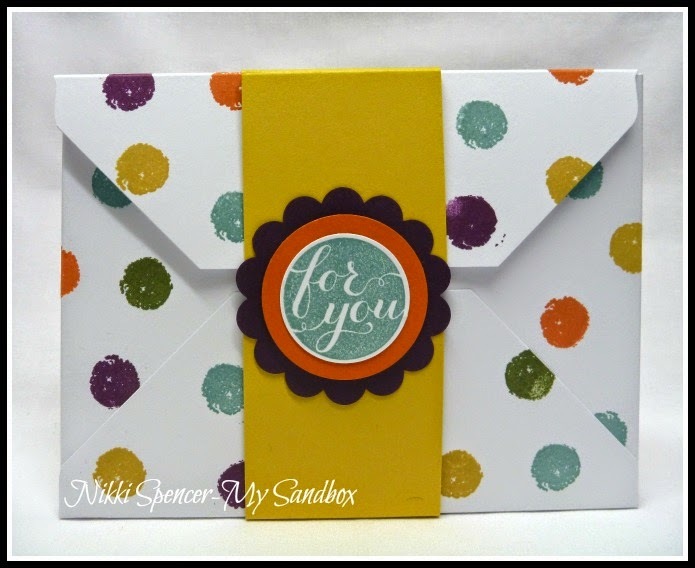 It has such lovely fine detail and embosses beautifully. 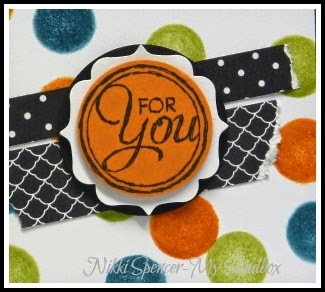 Although this is one of those stamps that l loved on first sight, but thought hmmm, how would l use it. 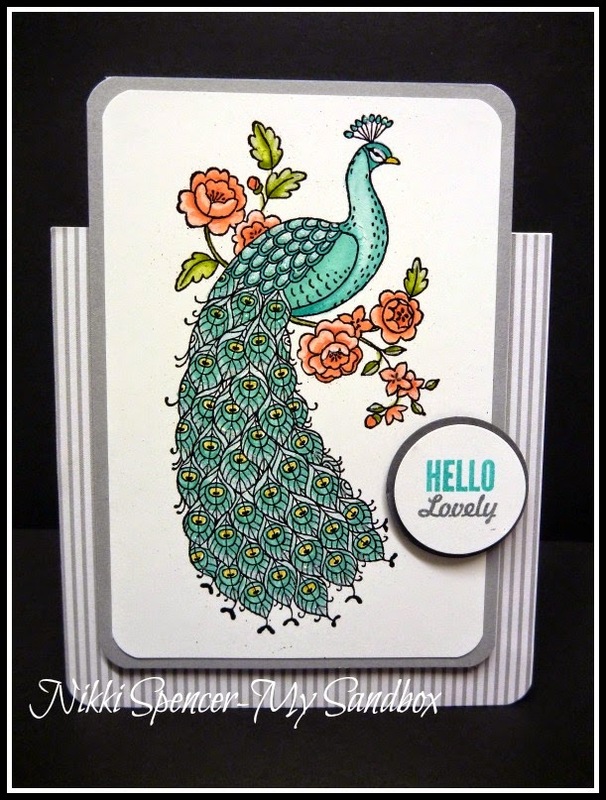 But after seeing a gorgeous sample at "Inspire Create Share" l decided that l really did need it and this was my first chance to ink it up and play! 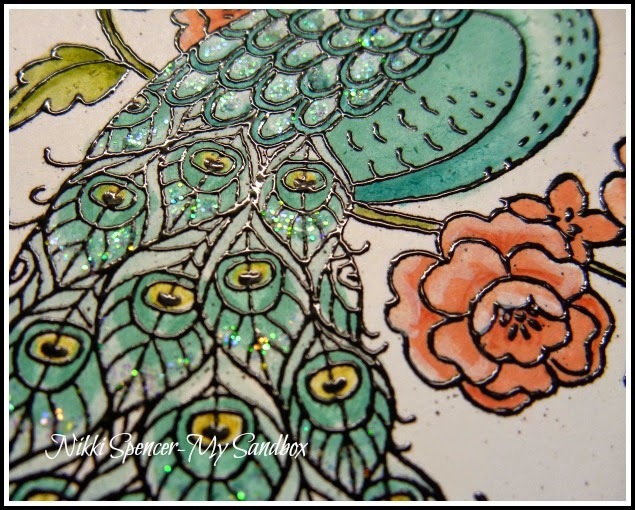 I embossed the Peacock with versamark & Black E/P and used my SU markers for colouring and a blender pen to soften the layers. 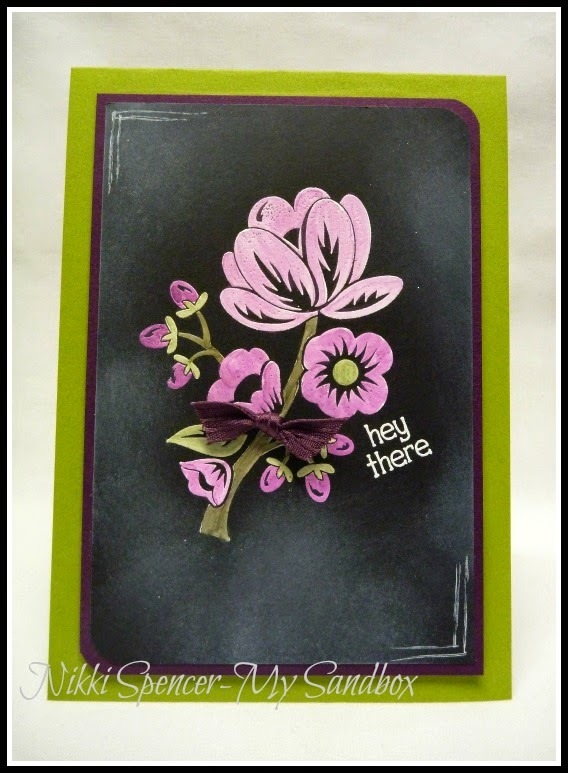 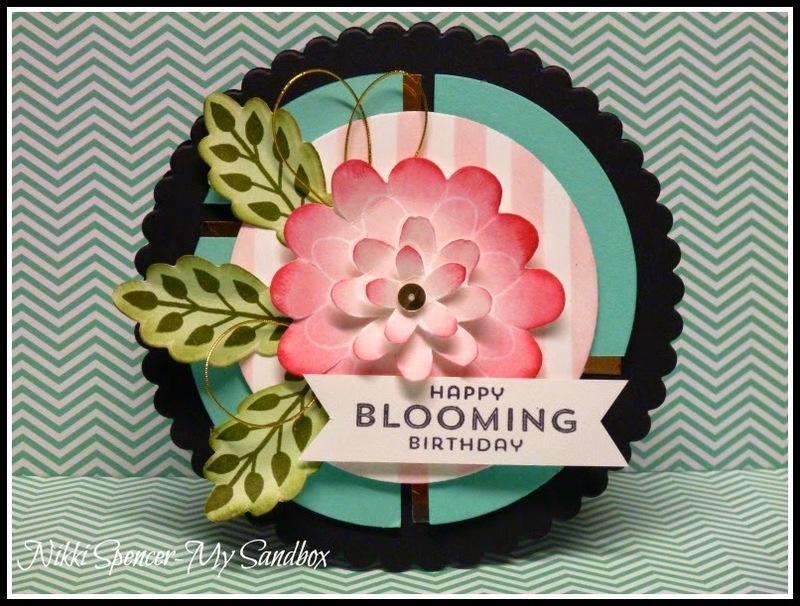 Hey there!....I've been having some colouring fun with the lovely "Hostess" set from Stampin Up called "Bloom with Hope". 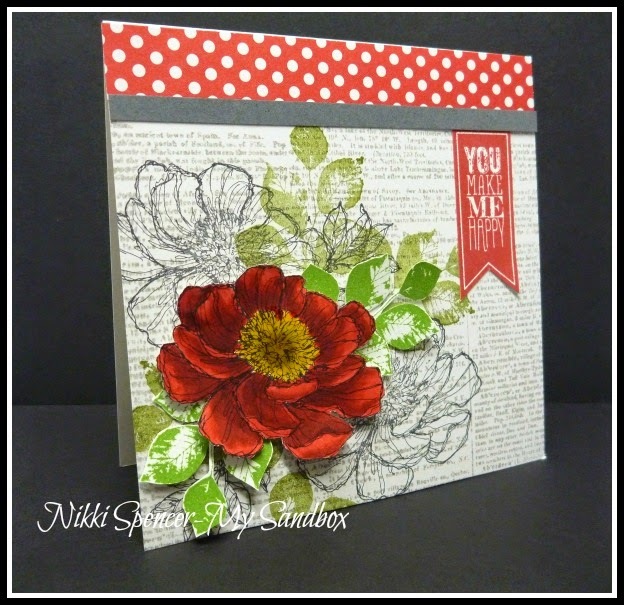 It has so many lovely floral images and sentiments and is great for watercolouring, Blendabilities or as l have done here, just block colouring the first layer and adding some really random shading over the ink shaded areas. 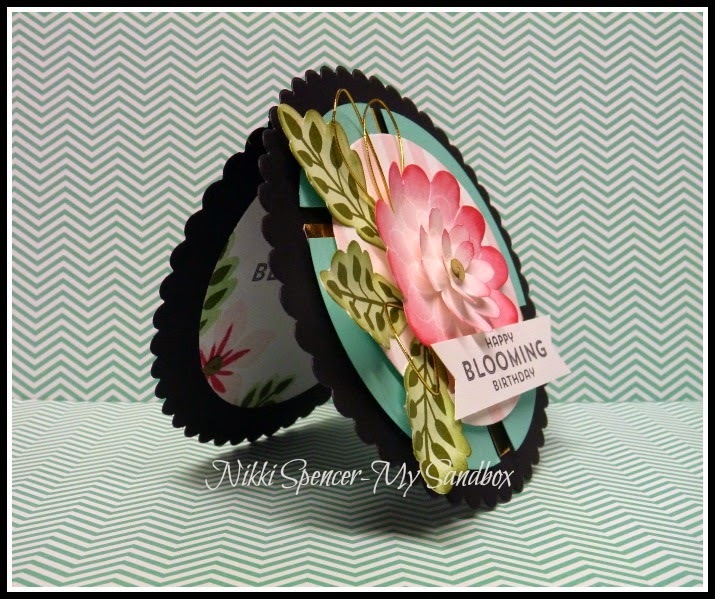 The leaves are from the "Kinda Eclectic" set and l must say l've been using them non stop. 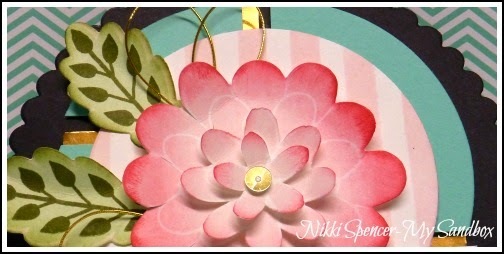 They are just such a nice shape and size and work so well with most flowers. 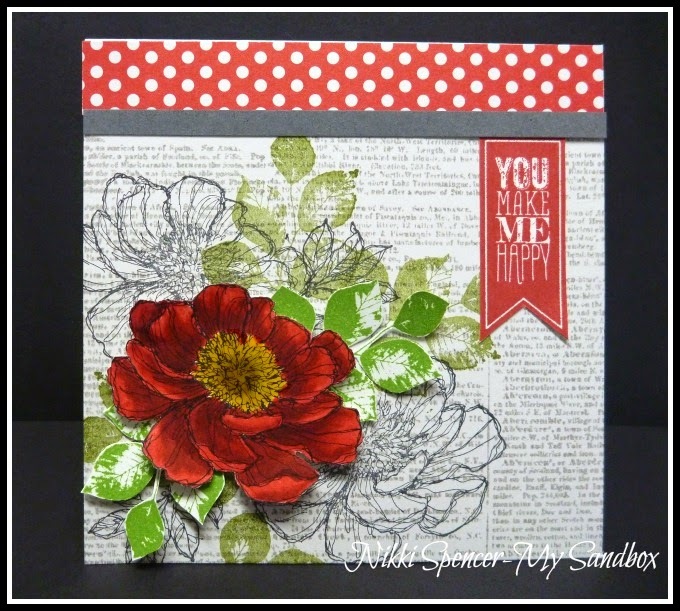 How cool is this!......My fellow JAI design team mate, Paula Dobson used this technique in her swaps for "Inspire Create Share" this year and also her DT sample for last weeks challenge and l just loved it! 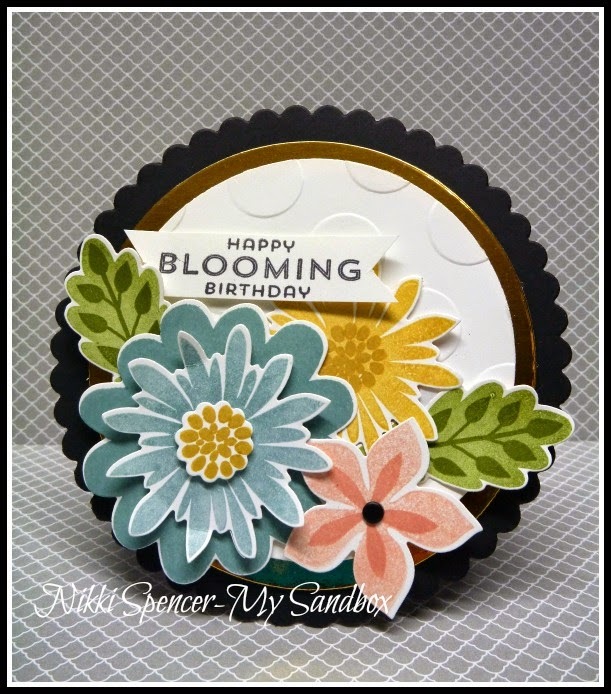 It's such a fun and easy way to get so much more from your embossing folders, l love being able to use a product for more than it's original purpose. 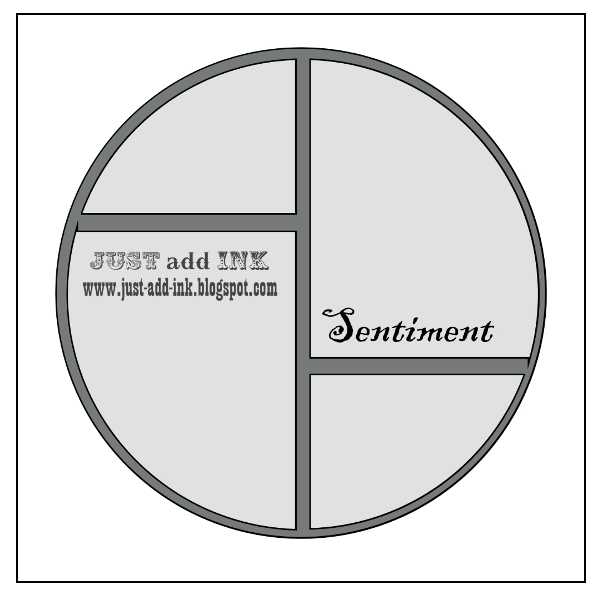 Time to share our challenge for this week over at Just Add Ink. 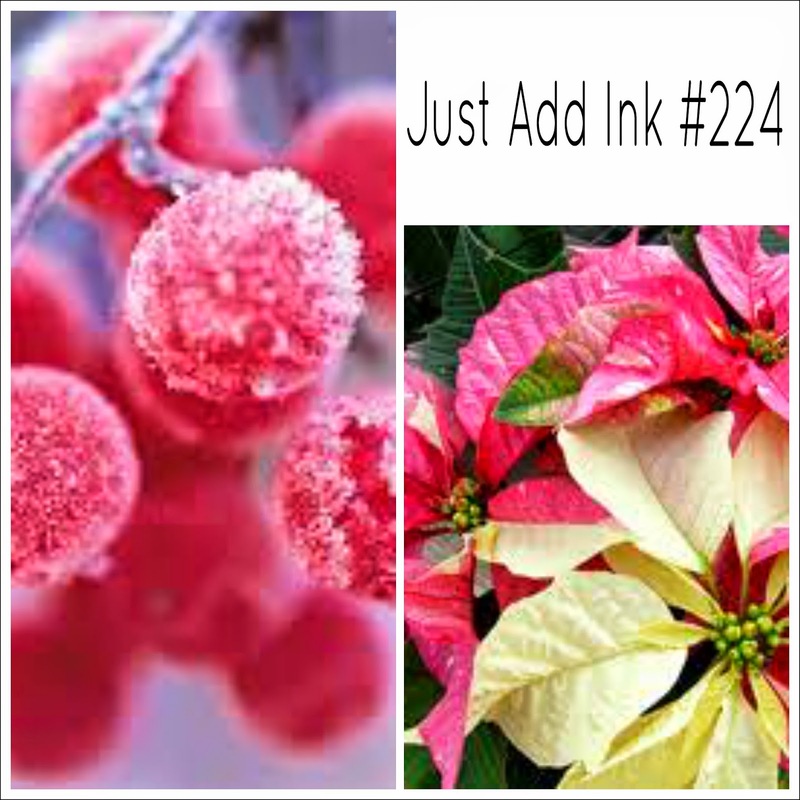 Kim has provided a lovely Christmas themed Inspiration pic, perfect for Christmas in July! 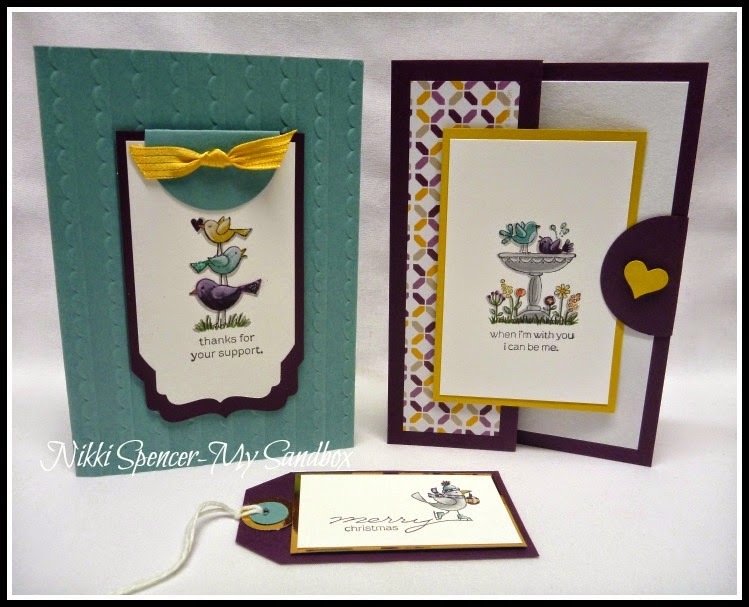 The design team have some really beautiful inspiration to get you started and as it's only "152 Sleeps" until Christmas, it's as good a time as any to start working on those projects. 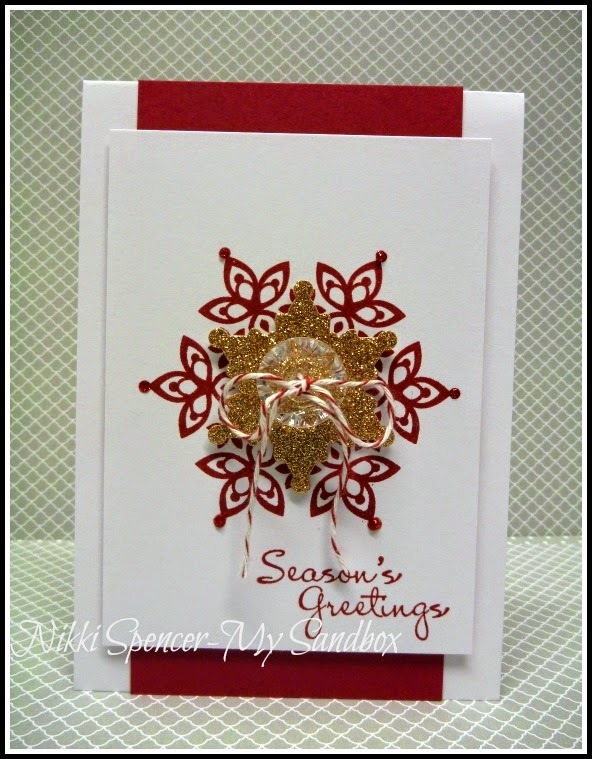 I took my inspiration from the star shape center of the Poinsettia and added some frost and sparkle with some Gold Glimmer paper and Vintage Faceted designer buttons from Stampin Up. 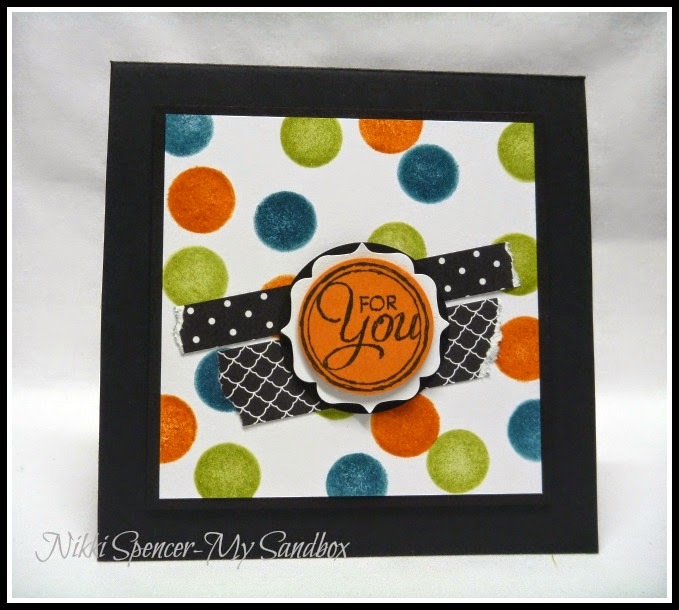 "Thanks for stopping by, have a lovely weekend"
Seeing spots before your eye's..:0) This is one of those cards that just evolved from a colourful mess! 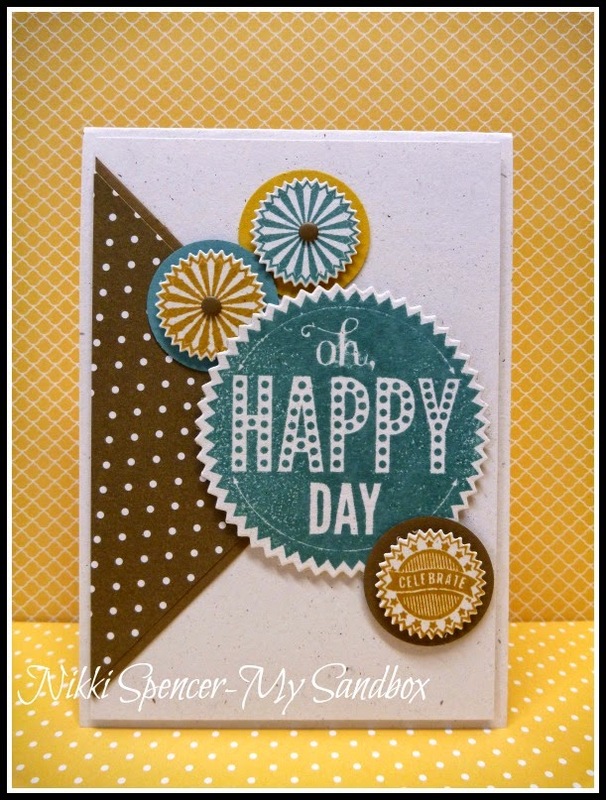 With the addition of some dsp scraps and a sentiment from Chalk Talk, l think it's a fun and colourful creation. 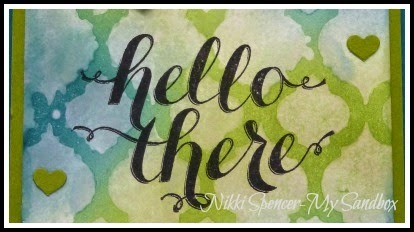 Hey there!....Today l tried my hand at a technique that is making the rounds of cyberspace and one l thought would work really well with the "Hey There Bud" stamp, it's a large solid image that embosses beautifully and therefore worked really well with the Blendabilities for colouring. 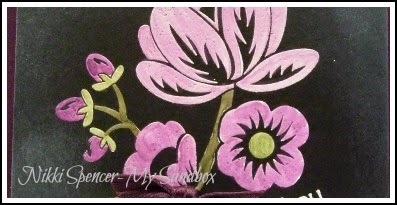 Happy Monday folks!....Just popping in to share this boxed card set l created just for fun..:0) I had stamped the images ages ago and when my new In Colour markers arrived l decided to finally colour them, for once l just colour blocked and used the white chalk marker to create the highlights....Super easy! 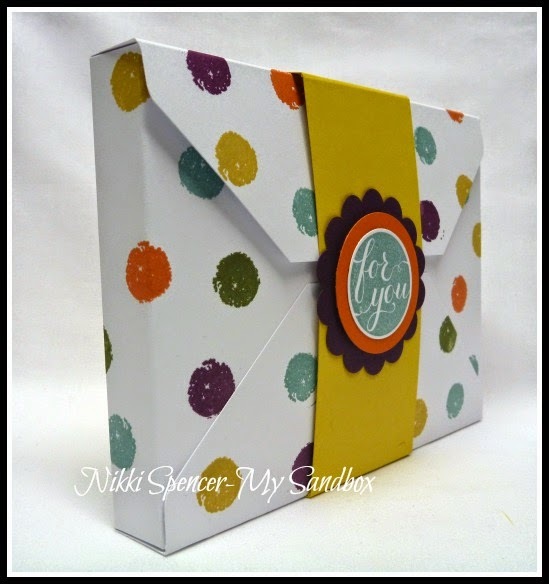 I thought l would keep the cards themselves fairly simple as far as layers and used shape, texture and patterns to add interest....Of course l then needed something to pop them in and used the envelope punch board to do that. 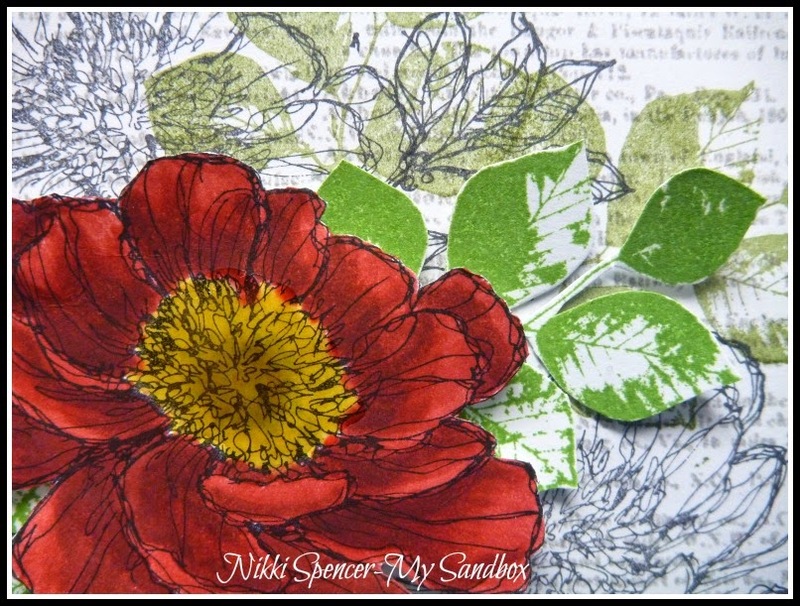 Good Morning!....Here's another "Flower Patch" card that l created while working on this weeks Just Add Ink project. 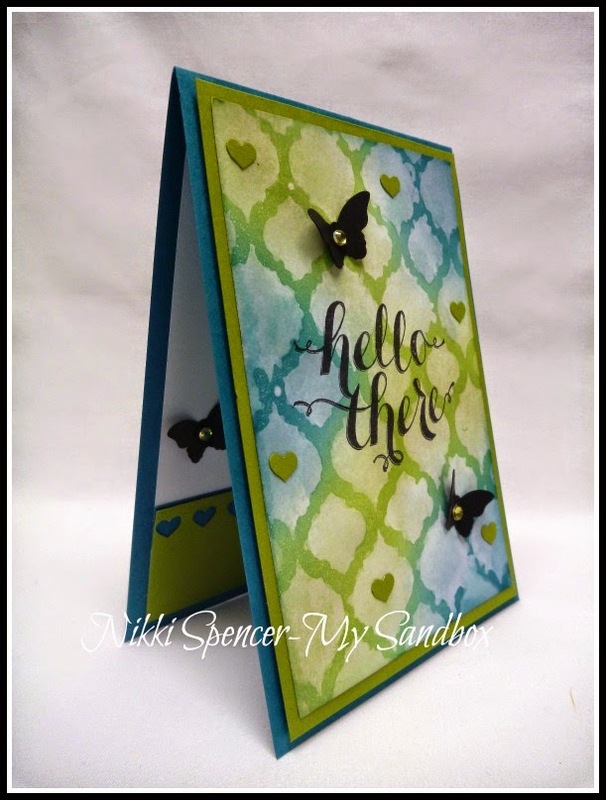 I'm not normally into shaped cards as a rule, but after my JAI sample, l thought l'd have another play using the same elements with a different layout.....Love this stamp set! 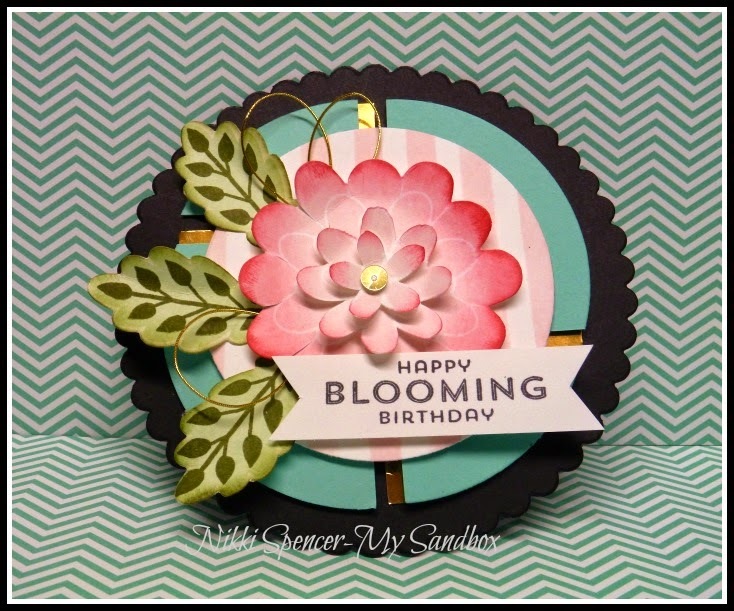 I have to fess up to this being #3 and some what different to the original, but it worked eventually and l had lots of fun playing with the new masks from SU to create the stripes, along with the Flower Patch stamp set and Flower Fair dies. 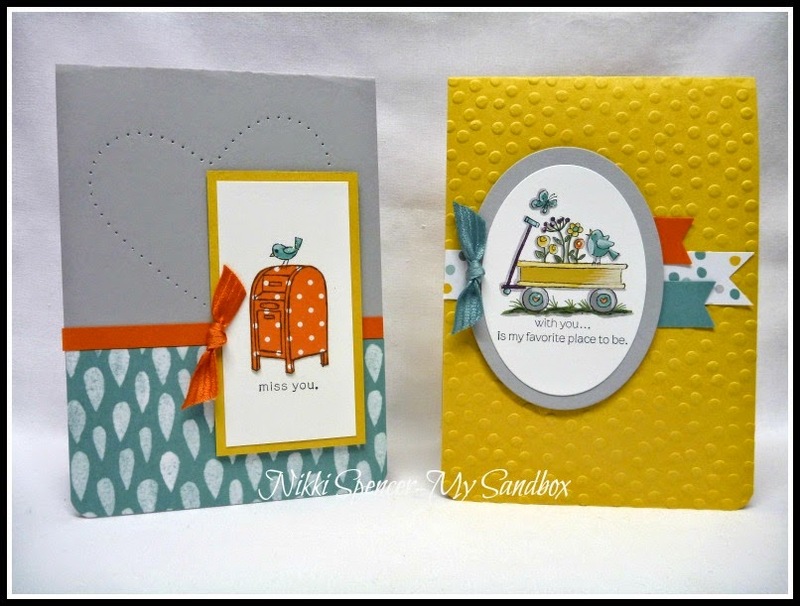 Heaps of fun projects from the design team using the sketch. 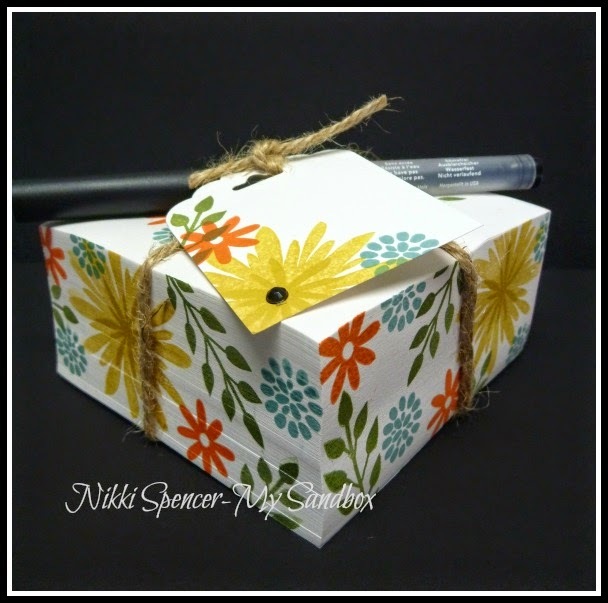 Pop over to the challenge blog for great inspiration. 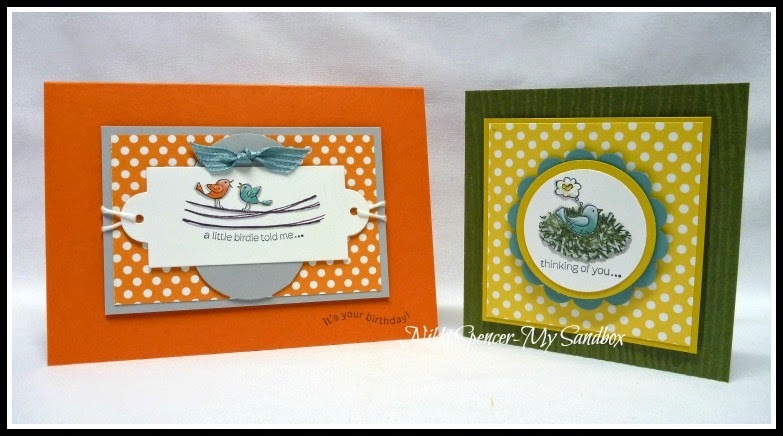 All supplies used are Stampin Up. 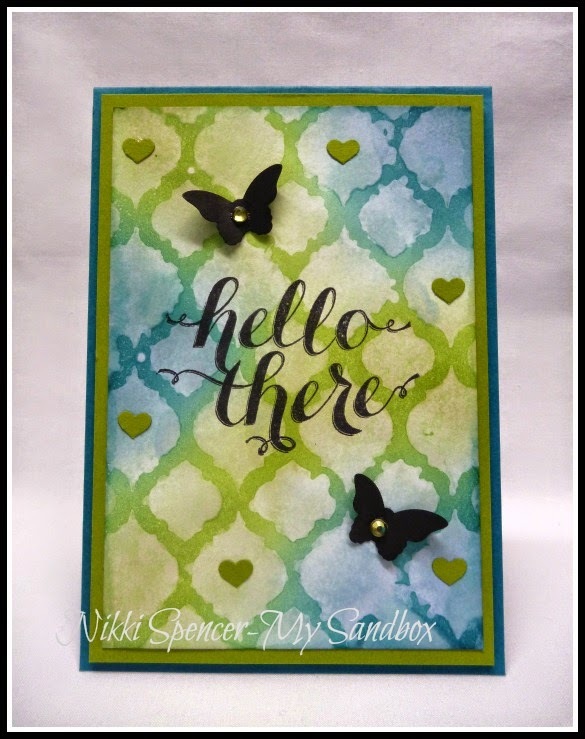 After making my card for last weeks Just Add Ink challenge, l had the other half of the dsp panel still sitting on my desk and thought l would use it up on a masculine card, using the same basic layout. 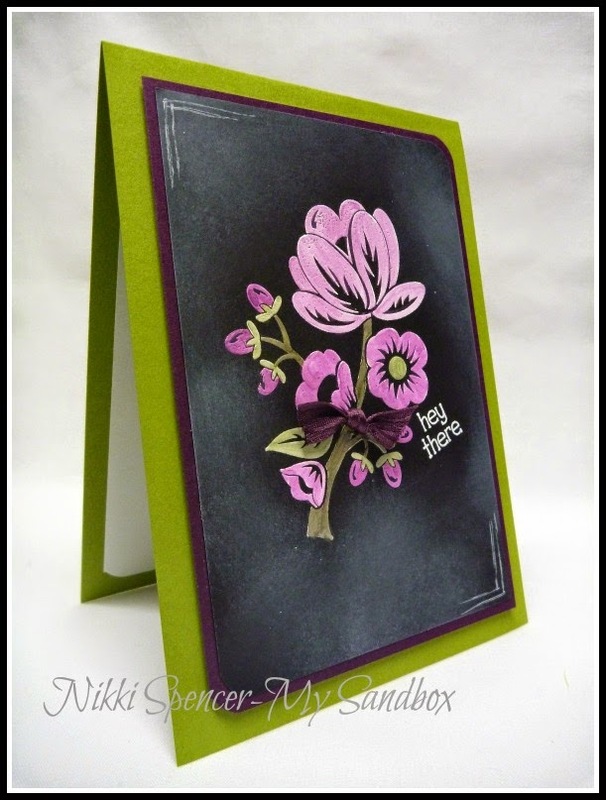 I swapped out the floral image for the "Starburst Sayings" images and combined them with Lost Lagoon and Hello Honey on Naturals White cardstock. 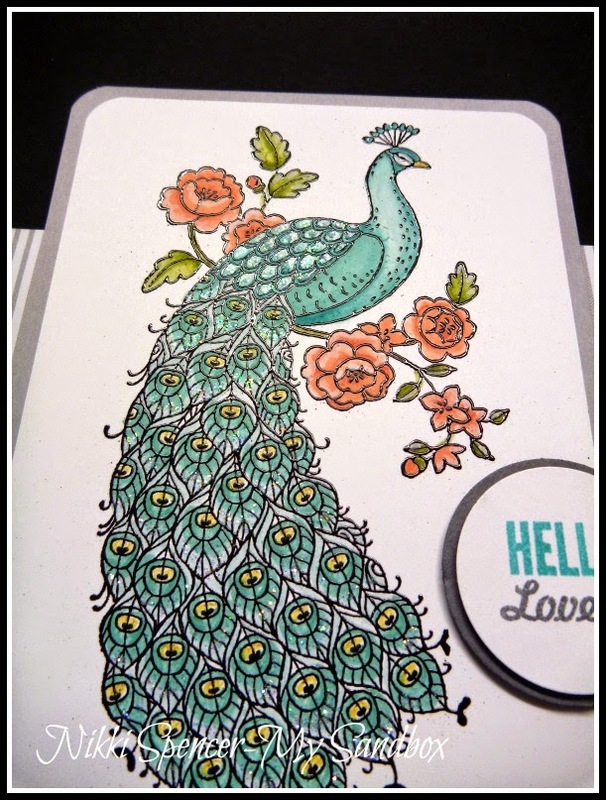 Well, it's official, this is my new fave stamp set from SU. 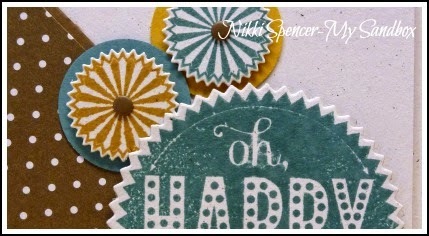 I'm in love with photopolymer! 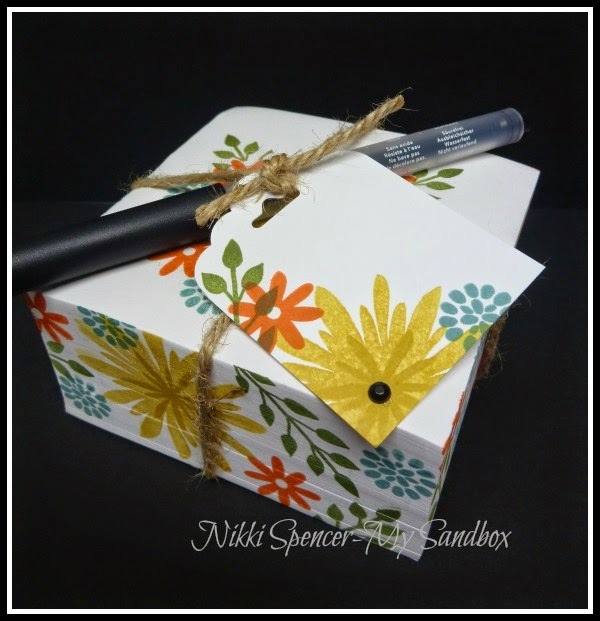 It inks and stamps beautifully and makes it so easy to do the whole 2 step style of stamping. 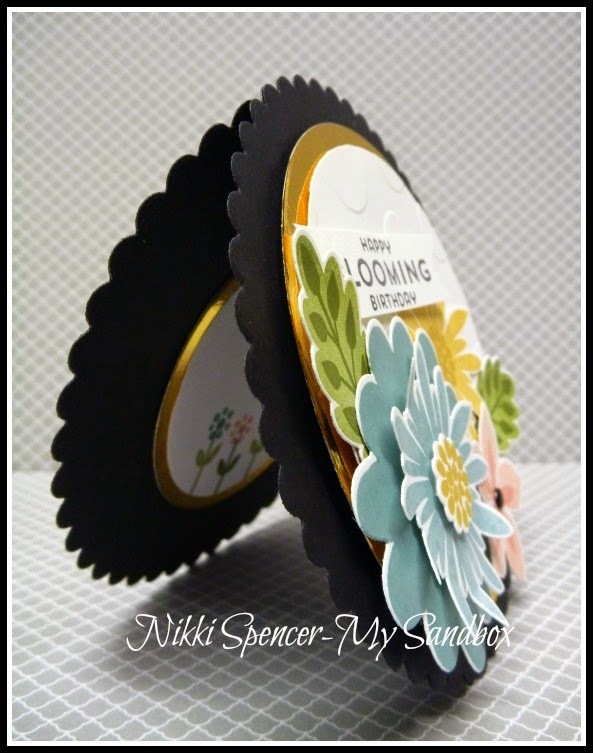 The floral images work wonderfully with this years new In Colours and are perfect for creating your own dsp. 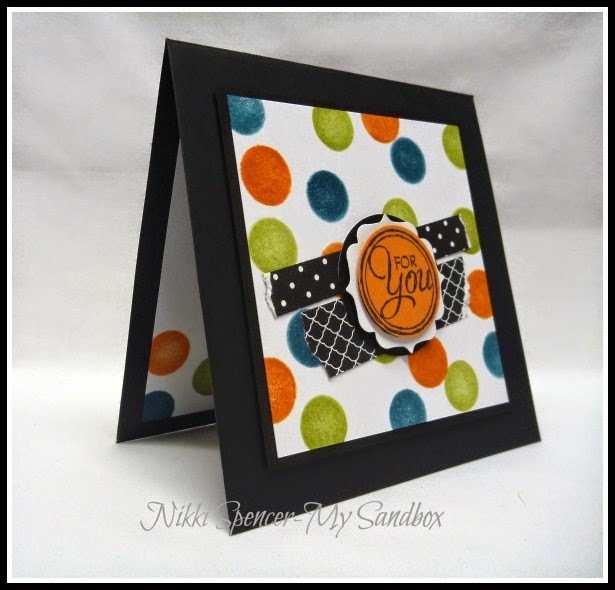 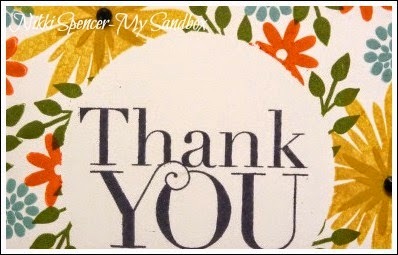 To create my card l masked off with a 2-1/2" circle and randomly stamped, making sure l covered most of the edges to form the frame and then added the Photopolymer greeting from the "Another Thank You" set....So easy to line up when you can see through to where you want to stamp. 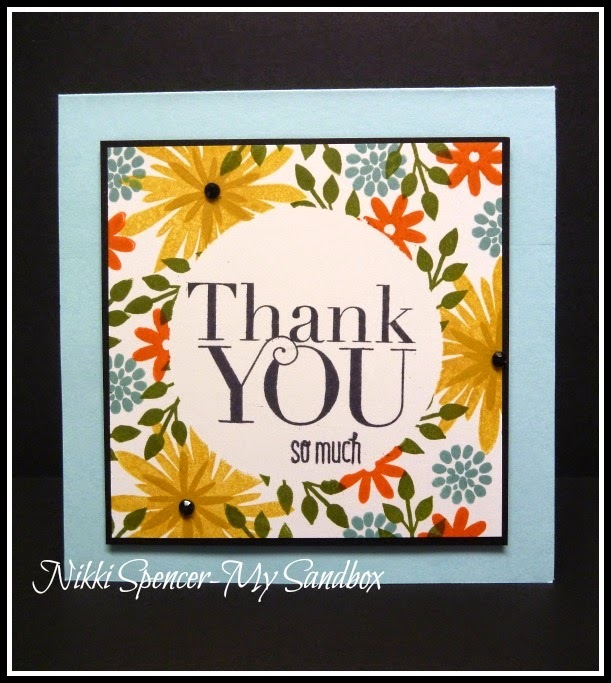 While making the card, l remembered l had some memo blocks somewhere in the black hole, that would look cool stamped to match...Makes a cute quick and easy thank you gift.